Middle Grade. First Edition. Signed on a bookplate. Summary Stickers, Silly Bandz, Rainbow Looms, fidget spinners…buttons?! A brand-new school story about friendship and fads from the bestselling author of Frindle. This is war. Okay—that’s too dramatic. But no matter what this is called, so far I’m winning. Grace and Ellie have been best friends since second grade. Ellie’s always right in the center of everything—and Grace is usually happy to be Ellie’s sidekick. But what happens when everything changes? This time it’s Grace who suddenly has everyone’s attention when she accidentally starts a new fad at school. It’s a fad that has first her class, then her grade, and then the entire school collecting and trading and even fighting over…buttons?! A fad that might also get her in major trouble and could even be the end of Grace and Ellie’s friendship. Because Ellie’s not used to being one-upped by anybody. There’s only one thing for Grace to do. With the help of Hank—the biggest button collector in the sixth grade—she will have to figure out a way to end the fad once and for all. But once a fad starts, can it be stopped? 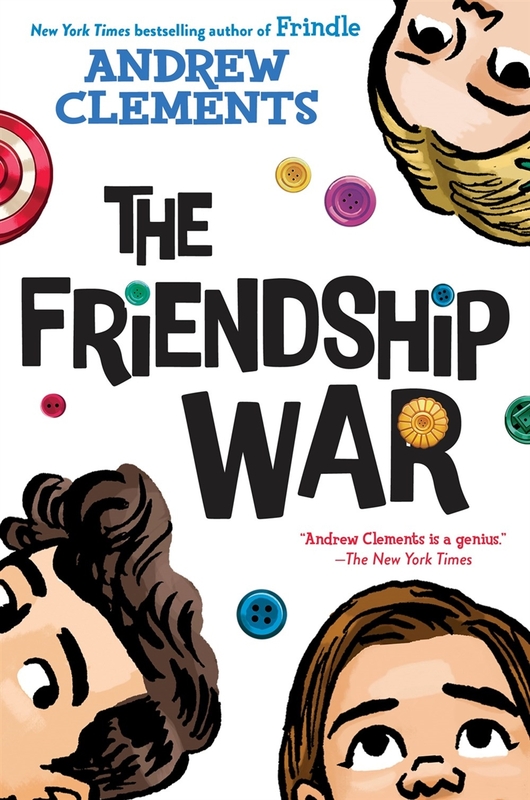 Andrew Clements, the beloved author of Frindle, returns with a deliciously entertaining and deeply satisfying story that will resonate with anyone who’s ever been in a classroom…or been a kid. A fad is a tough thing to kill, but then again, so is a friendship.